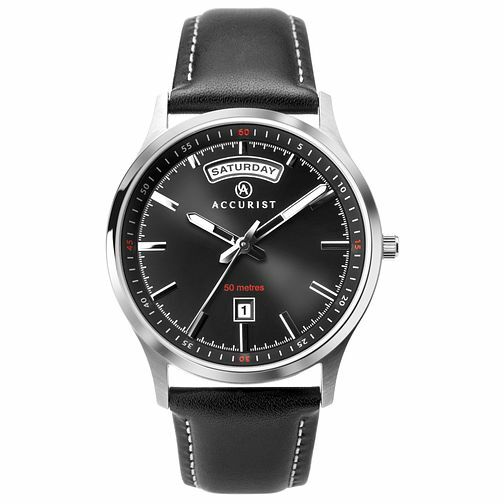 Expertly designed, this Accurist men's classic timepiece features a black full leather strap with off-white contrasting stitching and solid stainless-steel case. This watch makes a real statement with its striking black sunray dial, silver coloured batons, day/date display and pop of red. It is water resistant up to 50 metres and includes 2 year guarantee.